Annie is a recluse, her only companions the stories she makes up in her head. When she finds herself lost in the forest one day, with no apparent way out, she must learn to develop the tools to stay alive. Amid the harsh wilderness, and sometimes mysterious elements in the fairy tale wood, she discovers a fresh awareness of her own authentic life and spirit. She embraces the chance to clear the slate and begin again. Just as she's settling into the happiness of her new life, a man enters her home in the quiet wood--a loner, too, who presents an intrigue and attraction Annie cannot ignore. Separated from the normal conventions of the world, the pair initiate a friendship they've never known, a pull and push toward full honesty--a love without manipulation, artifice or fear. But when one of them considers a change, what will happen to the relationship they have created in the woods? 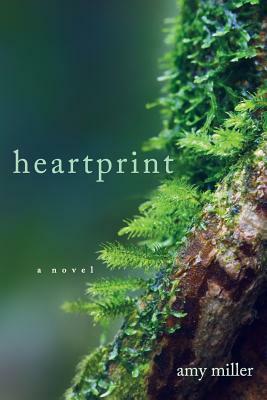 Heartprint offers a new paradigm for a different kind of intimacy--and asks whether and how that will and can endure in the real world.